is charged at a flat rate in 1 Hour Blocks. Onsite Attendance incurs a minimum charge of 1 Hour. General Consumers will be charged a Call Out Fee for Onsite Attendance. is generally available only to Plan holders with the Remote Support Module. Remote Support requires the installation of software into the IT infrastructure at the Client premises. Archetype IT have specifically designed the Remote Support Software to be non-invasive, and can only be initiated by a Client on the premises. An IT Support Staff member cannot initiate Remote Support. This to enhance the security of the Client IT infrastructure. is free for enquiries and general information. If Onsite or Remote Support is generated via Telephone Support, Telephone Support is free.  If a Client calls with a request via Telephone (ie: How Do I? etc) that lasts longer than 15 minutes, will be billed accordingly. Telephone Support is charged at a flat rate in 30 minute blocks. Telephone Support is charged at 30% of the standard Onsite Support rate. is free, as this process usually initiates either a Remote Support or Onsite Support job. For support pricing please either email or call Archetype IT today!